Zsa Zsa Padilla announced on Friday that she is free to marry again after just winning her second annulment case on the grounds of a sham marriage. TNT Hurado today. Thanks for watching! In a series of tweets, the Divine Diva revealed that she was recently set up in a marriage fraud stating that she has espoused a Japanese man whom she has never met nor heard about in 1992, around the time that she was still together with the late comedian Dolphy. "Can you believe I had to annul this 'marriage' I didn't even know about? Sadly, all this fake marriage needed were details of my birth certificate!," she wrote. "I was married to this Japanese man who is a stranger to me. We were supposedly married in 1992 while I was in [Los Angeles] for Dolphy's kidney treatment and the Japanese man was in Japan. According to [Department of Foreign Affairs], he is a real person who visited Manila only once in 1993! The marriage certificated stated that we were married in 1992. Nangyayari pala ang kasalan sa bayan natin kahit walang bride and groom!." she added. Left with no choice, Zsa Zsa decided to file an annulment case. Although the sham marriage has admittedly brought her distress, the singer-actress said that she wanted to begin with the proceedings "with no bitterness or anger in my heart", thus choosing to forgive whoever orchestrated the fraud. "I spent a lot of time in court and needless to say, malaking pera ang ginugugol. I feel for other people na may na-experience din na ganito sa buhay pero walang magawa dahil sa kakulangan na din ng resources," she wrote. 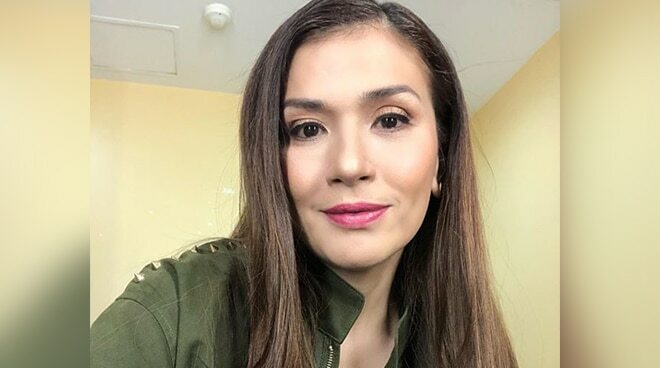 Zsa Zsa also came to the defense of her ex-husband Modesto Tatlonghari, the father of her eldest child Karylle, who is being accused by some as the possible mastermind behind the set-up. "I just want to clear that this could have happened to me for a number of reasons [and] unfair to my ex husband M Tatlonghari that he be pinpointed as the only possible person who could have done this. Again, before I started the case which took a little over a year, forgiven na sya," she said. "After years of being estranged from my ex husband, I made a vow to my daughter [Karylle] that I will bury all hurts of the past. Since the day she got married in March 2014, my ex husband and I have been friends again," she added. Currently, Zsa Zsa is engaged with her longtime partner, architect Conrad Onglao.